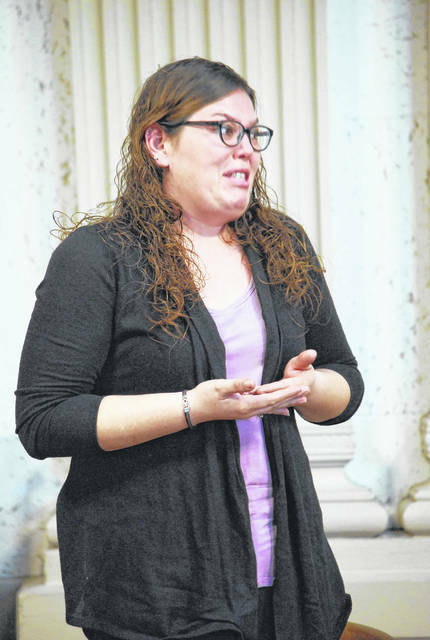 Rachel Friesel sobbed during her sentencing hearing Friday as she addressed the family of Phyllis Campbell. Members of the family of Phyllis Campbell, who was found dead in freezing temperatures outside a Pandora nursing home, were overcome with emotion as two former aides at the nursing home were sentenced Friday in Putnam County Common Pleas Court. Destini Fenbert and Rachel Friesel were sentenced to five years on probation and sentenced to 60 days in jail on charges of forgery and gross patient neglect. Destin Fenbert, of Pandora, choked back tears as she apologized to the family of Phyllis Campbell. OTTAWA — Five years on probation, 60 days in the county jail and 100 hours of community service. 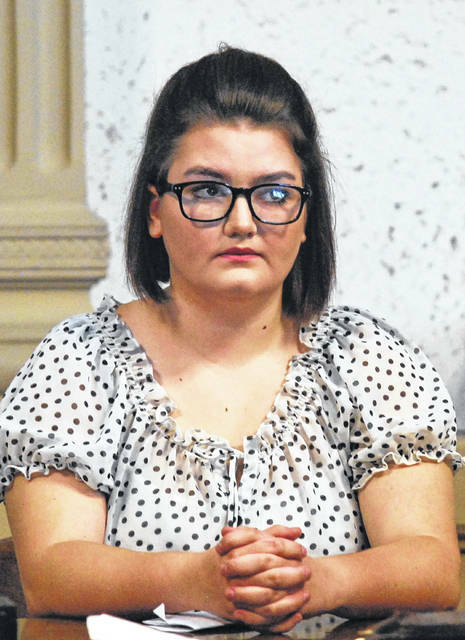 Those were the matching sentences handed out in Putnam County Common Pleas Court Friday to two former employees of a Pandora nursing home who prosecutors say were negligent in their duties in the hours leading up to the death of a resident at the facility. 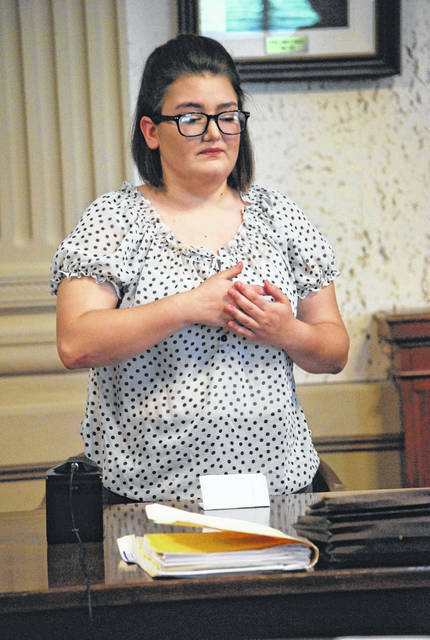 Destini Fenbert, 20, and Rachel Friesel, 37, both of Pandora, appeared before Judge Keith Schierloh for separate sentencing hearings Friday morning after pleading guilty last month to charges of forgery and gross patient neglect. The state dismissed third-degree felony charges of involuntary manslaughter and misdemeanor counts of patient neglect against each woman. The charges were returned by a Putnam County grand jury following the Jan. 7 death of Phyllis Campbell, 76, who was found dead in freezing temperatures outside the Hilty Memorial Nursing Home in Pandora where she resided. The woman’s death was ruled to be due to hypothermia. Family members said the woman suffered from dementia and Alzheimer’s disease and alleged the Hilty staff took short-cuts in caring for patients. Friesel and Fenbert were employed as nursing aides at the facility and were both on duty on the day Campbell was found dead. According to an investigation performed by the Ohio Department of Health, both women admitted to falsifying bed check documentation forms at 2 a.m. and 4 a.m. that day. Several of Campbell’s relatives spoke in open court Friday during the hearings for both defendants. 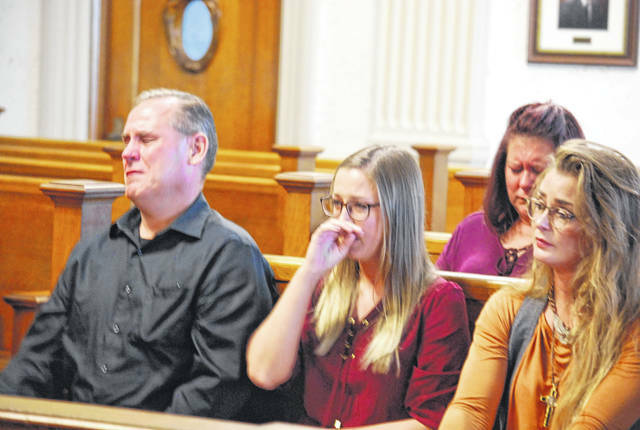 Throughout their emotional comments to the court, those family members made clear they felt the Hilty Home, as they referred to the facility, bore a large share of the blame for Campbell’s death. Steve Campbell, the woman’s son, said he will forever regret the decision to place his mother in the nursing home. “I thought she would be safe at Hilty Home, but I realize now I made a horrible mistake… . They killed her,” he said. Campbell said he was disillusioned with the nursing home early on. Attorney Gary Smith, representing Friesel in court, said administrators at the nursing home are ultimately to blame for Campbell’s death. “The main problem is that (the Campbell family) entrusted their mother to the wrong nursing home. There should be people here in this court who are ultimately responsible for her death,” Smith said. Putnam County Prosecuting Attorney Gary Lammers said the nursing home as a facility is immune from criminal charges but could be subject to civil action. Administrators or supervisors at the nursing home could be subject to criminal charges in the future “should additional facts or circumstances come to light,” said Lammers. Both women cried as they apologized to the Campbell family for their negligence. Friesel at first declined to speak prior to sentencing, then broke down in tears and directly addressed the family. A co-defendant in the case, Megan E. Schnipke, 31, of Columbus Grove, was charged with one count of forgery, one count of gross patient neglect and one count of patient neglect, a second-degree misdemeanor. Schnipke is scheduled to stand trial in November.